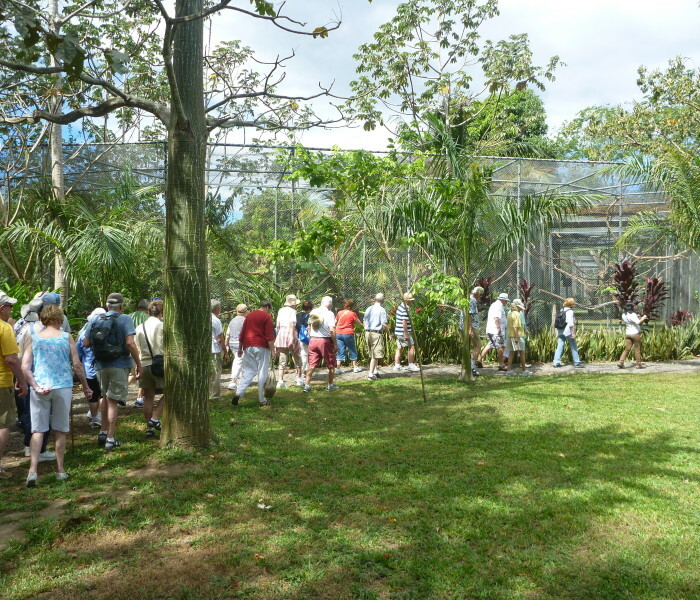 The Ecotourism Program consists of a walk, where the visitor enjoys the different observation stations and learns about the animal species that inhabit the Sanctuary, such as: jaguars, tapirs, monkeys, exotic macaws, scarlet macaws and green limpets. In addition, they will know their natural history and the problem that threatens extinction of our biodiversity and how to avoid it. This, through exuberant paths, of botanical richness that embellishes the landscape. The tour is guided, before entering, the visitor receives a small explanation of the rules and their importance. DO NOT TOUCH THE ANIMALS, DO NOT SPEAK TO THE ANIMALS, DO NOT FEED THEM, DO NOT LEAVE THE PATHS, ETC. 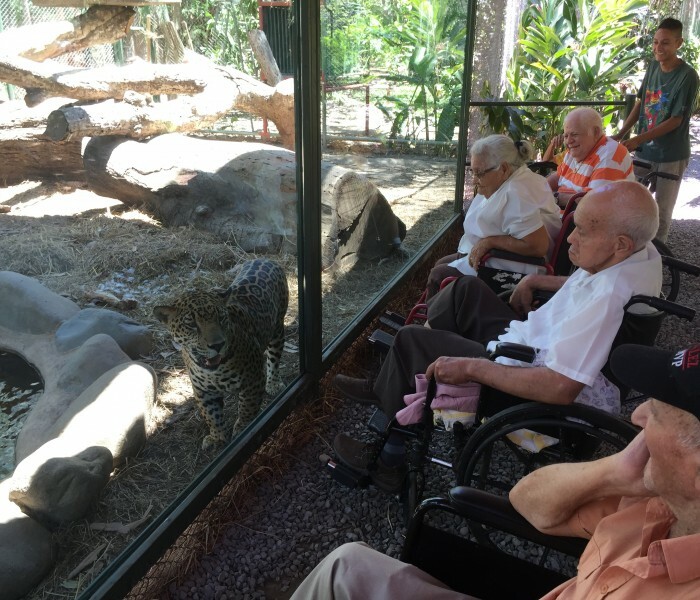 Thus, NATUWA minimizes stress to animals in the presence of humans. In addition, it provides visitors with information that will help them understand the importance and their function in nature. Therefore, we have trained personnel that handle information on ecological issues. The guides are attentive to provide respectful treatment to our clients and the information provided generates awareness; with the purpose of conserving our natural resources and thus contribute to the protection of Costa Rican biodiversity. 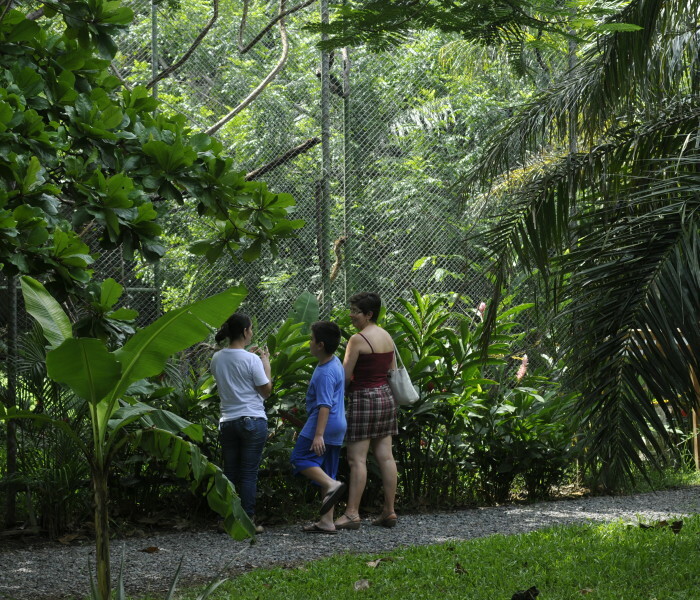 Along the path, trees of Cenízaros, Guanacastes and others, shelter red macaws, Congo monkeys and also sloths. The path has a length of 750 meters and is very easy to access for all ages. So, the walk is strategically designed to be done in a time of almost hours. 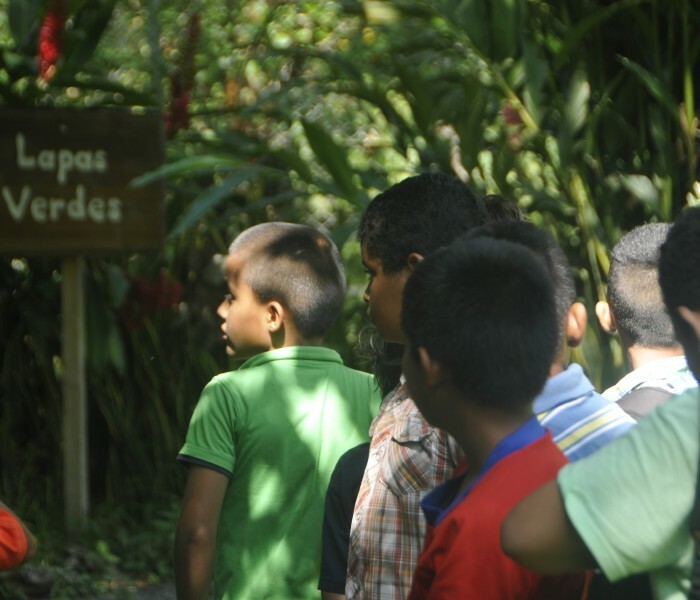 The ecotourism program provides work sources to the communities surrounding the Sanctuary. Generating economic resources for families in the community of Aranjuez. In this way, Natuwa has managed to avoid transgression of the wildlife conservation law. The community understands, that, if we keep these beautiful birds in freedom; they will function as a pole of attraction, so that tourists visit the community of Aranjuez.